urry is a healthy addition to any diet. It is an excellent source of nutritional antioxidants. Beans contain no cholesterol, are low in fat and high in fiber and protein. Dried black beans have black skin, creamy white flesh. Black beans taste wonderful and go well with rice and chapati/bhakri. 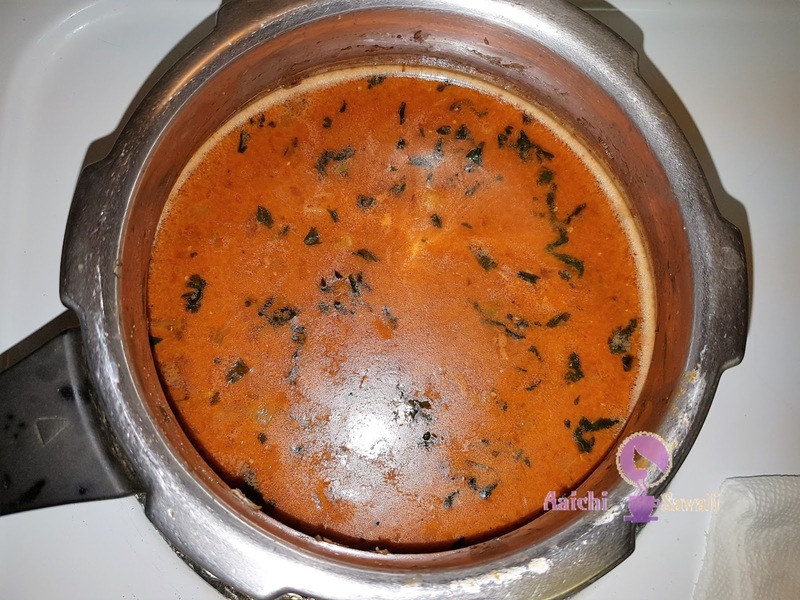 I prepared black bean curry is quite a bit different, I added coconut milk for the base, which makes this curry incredibly rich, creamy and filling. Let's give a try. Either soak the beans overnight or for 8 hours. Wash and boil/cook the beans with water in a pressure cooker for 2-3 whistles. 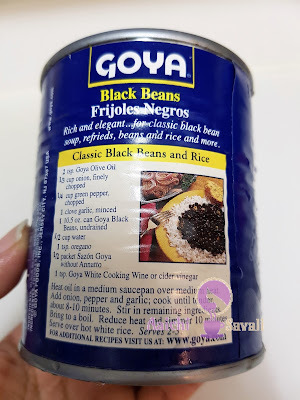 Or use readily available Goya Beans. Drain the beans. You may want to keep this drained water and use later to adjust the gravy consistency. Add garlic and cook for 2 minutes till the raw flavor of garlic disappears. Add red chilli powder, salt and mix well. Now add the beans and stir. Now add the water (used for cooking the beans) to adjust the consistency as desired. Mash the beans to get a creamy consistency of the gravy and add coconut milk and saute well. minutes. Switch off the heat and squeeze in the lime juice, add the chopped cilantro and stir to mix. 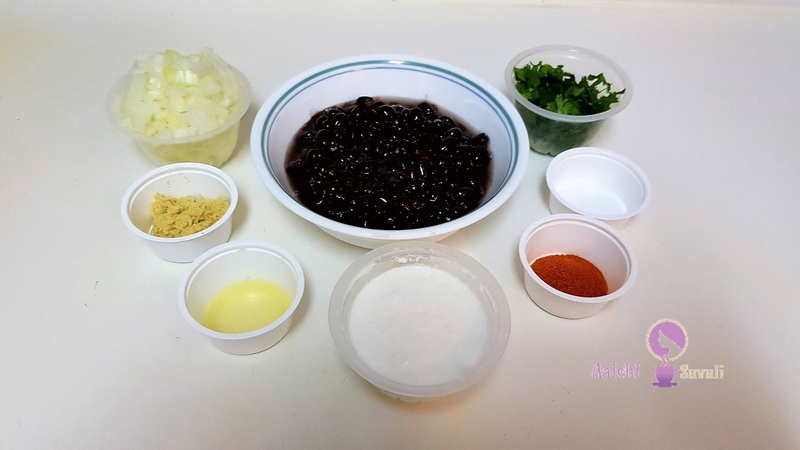 Here, very tasty, healthy and easy black beans curry is ready to serve. Serve it with rice, chapattis, Bhakris. Enjoy!!! Complete recipe contains - 607 calories. Per serving contains 152 calories, along with carbohydrates - 15.1 g, fats - 9.2 g, proteins - 4.52 g.
It's good to eat Black Beans Curry for lunch as well as for early dinner.